Honor, Huawei's budget brand, is all set to launch its first first smartwatches in Europe. The Honor Watch Magic and its sister watch, the Dream, are all set to arrive on 23 January for £157. The Magic and Dream are actually a little familiar - they're rebrands of the Honor Watch, which the company launched in China a little bit ago. 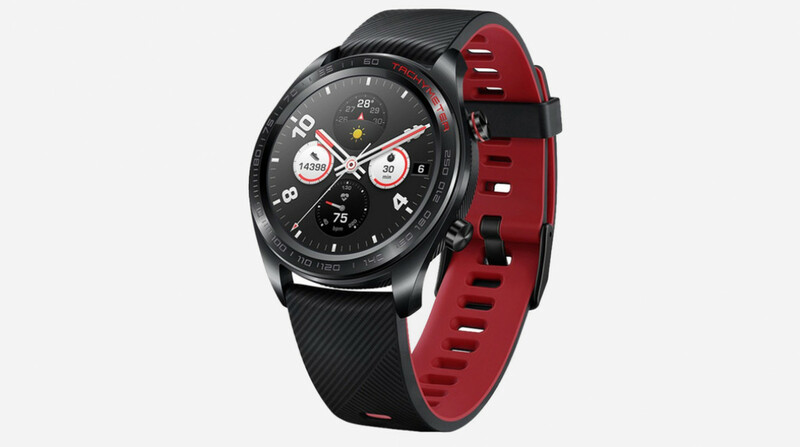 They're basically smaller, more affordable Huawei Watch GTs with week-long battery life (thanks to Lite OS). The Magic and Dream are largely the same. They both have stainless steel cases that weight 32.5g and a thickness of 9.8mm, and both have 1.2-inch 390 x 390 AMOLED displays. They also have a dual chipset, Lite OS, a week of battery life on a 178mAh battery, 24-hour heart rate monitors and water resistance up to 50 meters. There's also Honor's TruSleep sleep tracking and TruRelax blood pressure monitoring. GPS and GLONASS support are on board, as is NFC for Huawei Pay. The only real differences between the Magic and Dream are the available colorways. The Magic comes in black, dark blue and silver while the Dream comes in pink and white. It's likely the dream is just the "fashion" version we had heard about before. While both the Magic and Dream are headed for the UK and the rest of Europe, it will not be headed to the US anytime soon - if at all.